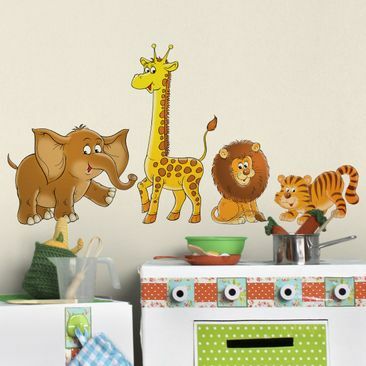 Are wall decals suitable for application in kitchen, bathrooms etc. ? Yes. 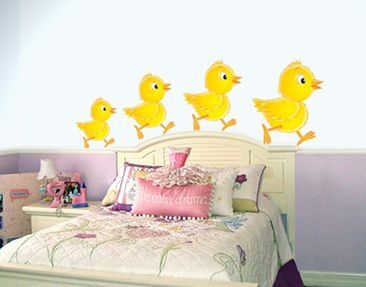 Wall decals withstand humidity and are perfect for application on tiles, acryilic shower walls, mirrors. Before installation make sure the surface is dry. My wall is freshly painted. Do i need to wait before applying my wall decal? Yes. Definitley. 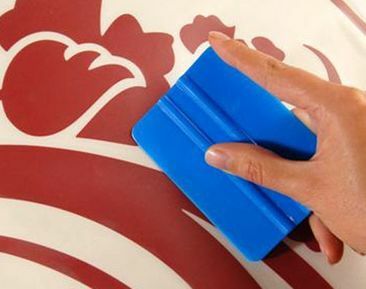 Allow freshly painted surfaces to dry at least 2 weeks. 3 weeks in humid/damp environments (e.g. Bathrooms). This allows walls to cure and paint won't come off once you decide to remove your wall decal. My wall decal was delivered without application tape. Why? Don' worry. Some wall decals got no application tape because installation is even easier without. Just peel off your wall decal and apply it to your wall. Is it easy to remove wall decals? Yes. Lift a corner with you fingernails and gently peel off the decal. For removal from flat and smooth surfaces such as mirrors you should use a hairdryer (low heat). Just warm it up and peel it off. Do wall decals leave residue when removed? How long will my wall decal last? Long. 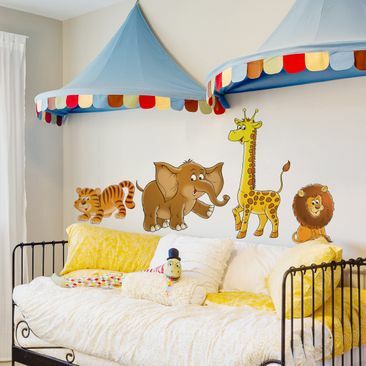 Wall decals are perfect for temporary decoration but will last easily for at least 4 years. Some of our customers report more than 10 years Lifetime. To boost durability apply them away from direct sunlight and heast as this can release the adhesive. In Stock Delivery within 6-8 days. › Glass, furniture, tiles etc. 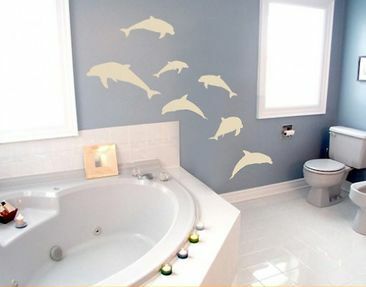 Basically Wall Stickers are ordinary Wall Decals. The tiny difference is that Wall Decals are made of single-colour-foils (perfect to carry graphics) while Wall Stickers are multi-coloured (photographic pictures and illustrations). Estimated delivery between 29.04. - 03.05.2019. The installation is super-simple and can be easily done by one. 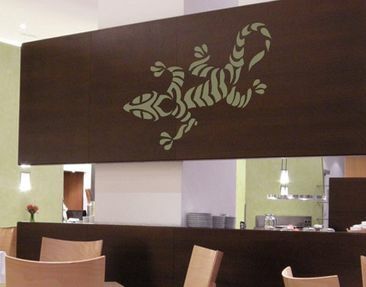 We recommend to mount large Wall Sticker by twos. We strongly recommend to use a squeegee. Have a look on our supplies. The Application can be easily done by one. We recommend to mount large Wall Sticker by twos. Your Wall Sticker on a white carrier foil covered by a transparent application tape. You should use a squeegee! You'll need it for an easy and handy installation. Don't pull off application tape before reading the installation instruction. Make sure your wall is clean and free of dirt, dust, silicone, dispersion and latex paint. 1. Roll out the Wall Decal. 2. Put your Wall Decal onto a a flat, clean surface graphic-side down. Firmly rub the the whole carrier tape by use of your squeegee. 3. Slowly peel back the carrier tape (sharp angled). 4. Make sure the Wall Decal remains on the transparant application tape. 5. Position your wall decal and tightly press the upper application tape corners to the wall. 6. Use your squeegee to firmly rub the tape from center sidewards. 7. Now slowly peel off the application tape. Make sure your Wall Decal remains on the wall. 8. If any parts still stick to the tape just stop pulling, roll a bit back, rub it again to the wall. After that continue pulling slowly. 9. Voila. Quite easy. Isn't it? 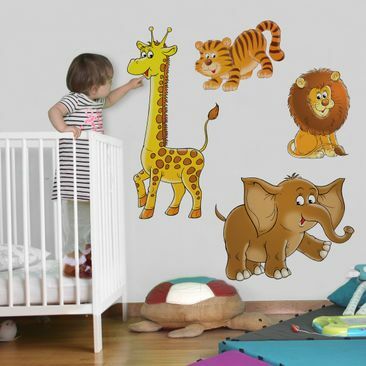 Multi coloured Wall Stickers bring your walls to life and provide a creative freshness in your home. The large diversity of motifs and individual mounting options make the multi coloured Wall Stickers attractive for all ages. Starting with the mini Wall Stickers right through to the large products there are countless variations of how to attach the article. Beautify your personal belongings such as furniture, notebooks or smartphone as well with the easily removable and residue-free quality foil. 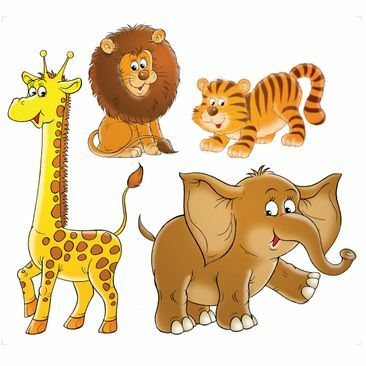 Multi coloured Wall Stickers consist of a flexible PVC foil printed with lightfast colours. Therefore your favourite motif is provided with long lasting brilliance. Additionally the material is tear- and moisture-resistance. 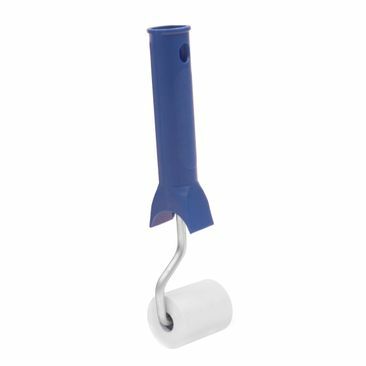 The Wall Sticker can be pulled off the release paper and attached to the desired spot. Our Wall Stickers stick to all surfaces that are clean and even as well as free of dust, grease, silicone, oil based paint or latex. If you want to redecorate the foil can easily be removed anytime without residue. It doesn’t matter whether it’s for your living room, childrens room, kitchen or bathroom. Easily adhere your favourite motif to the desired place. The high quality decorative foil will stick to unpainted woodchip wallpaper, tiles, plastic or smooth furniture without a problem. Just enjoy your personal decorative highlight.